Crosshairs Radio ep 32: Dekker! Richards! Meeusen! Powers! AusCX! We are calling episode 32 of Crosshairs Radio “The Sampler Plate,” because there is a little bit of everything on this episode and all of it is awesome. We start off the show by checking in with Jeremy Powers who gives an update on what he’s up to and also gives some insight into the season ahead for him and his Aspire Racing program. 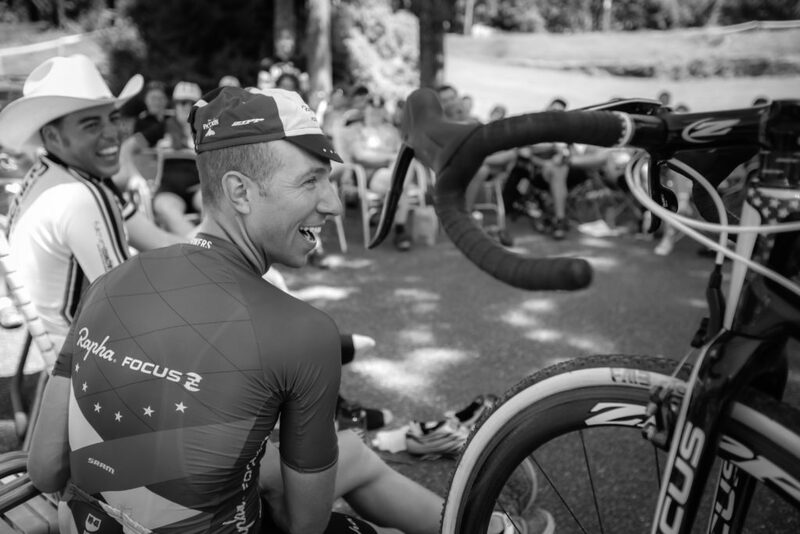 But the main reason to have Jeremy on was to talk about the upcoming Jeremy Powers Washington DC Cyclocross Camp, which we would love to see you attend. For more information on this year’s camp please visit: www.bikereg.com/jeremy-powers-dc-cross-camp. Also on the show is Junior World Cyclocross Champion, Jens Dekker. At only 17 years old, Jens is not only a star in the sport but he’s also a great interview. Unfortunately, the sound quality on this one is not where I want it to be. It’s listenable and may even be better quality than a lot of other podcasts you are used to, but we like to set the bar high and want to do better. So just to be sure you don’t miss out on any of the conversation, if you scroll down, the transcript of the chat is included in this post. A quick note on that transcript, Twitter friends: It is not a word for word recreation of the conversation. It is not admissible in court. It is not an official record. But it gets the job done. After Jens we talk to yet another World Champ! 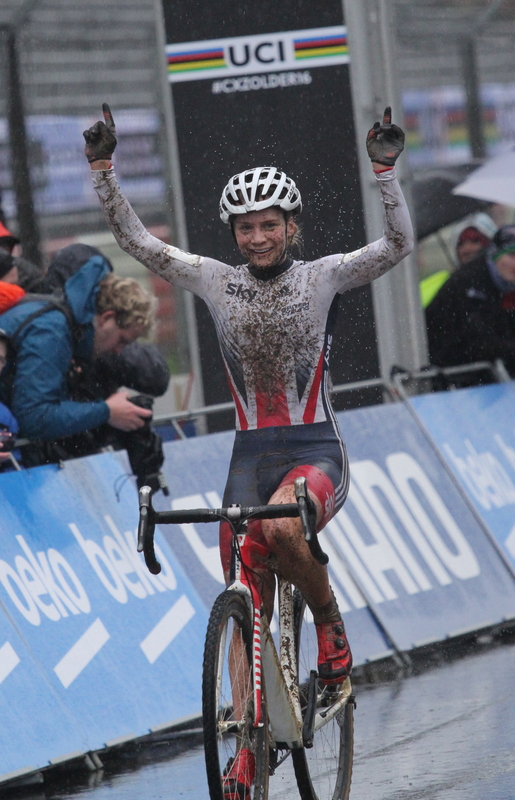 Evie Richards, the U23 Cyclocross World Champ, joins us for a quick chat. This was originally a video interview I shot in La Bresse, France, before the last round of World Cup cross country mountainbike races. My original plan was to show some highlights of Evie on course in a nice video package. But I missed her in practice and only have race footage, which I can’t show because of rights issues. Also on the show is Tom Meeusen!! I’ve wanted to talk to this guy for some time and he did not disappoint. Super nice and a pleasure to talk to. Along with Richards I hope to have these two back for longer conversations. Like the Richards interview, this was also originally shot for video. We close out the show with a segment produced by JB Hancock on Australian cyclocross. JB is joined by Scott Dedenbach of the Cyclocross Network and TDDTIE fame and Sean Couley, editor of Australian Cyclocross Magazine. Bill: Family-wise there’s a history in the sport. How did you get into cycling? Was it destined for you? Jens: I think I started when I was seven years old, but at first I really didn’t like cycling. My dad was watching on TV and I wanted to watch cartoons. But I started watching with the Tour de France in 2005 and the next year I started racing on the road. B: So how old were you when you started racing on the road? J: I was seven years old. B: Seven years old, okay. So you did that for quite some time. What is your history of racing on the road? J: I wasn’t a great rider … I won a few races but not every race. I was one of the better guys but I didn’t have the sprint and that’s not handy when you’re living in a country that’s flat like Holland. I always had to attack. I think that made me quite strong and I started cyclocross just three years later … but I wasn’t very good at that either. I think I won three races before I started to take cyclocross seriously. B: Did you enjoy cyclocross more? Was it more compelling for your than road racing? J: Not necessarily. Cyclocross in the younger age groups is quite different in Holland. Very narrow twisty courses that are not great for me because I’m not really a technical rider. I couldn’t really use my strength in the racing. That’s probably why I didn’t really do very well in the first three years. B: What would you say are your strengths? J: Just power. I need a bit of room to build up speed. So when there’s like 40 corners on the course I just can’t build up speed. B: It sounds similar to what most of the courses in the U.S. look like. Lots of turns. 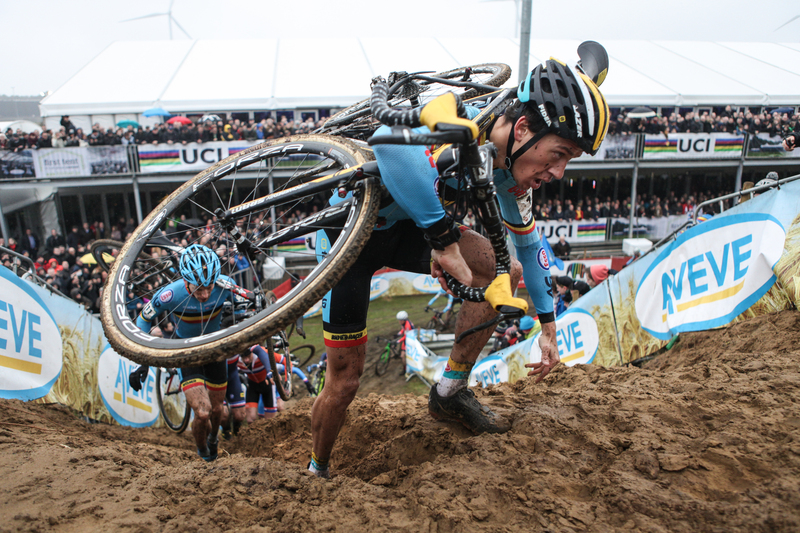 When did you start to find success in cyclocross? J: As a first year Under 17 I wanted to do really well on the road but I had a crash and had to sit and never had the results I wanted to. Then I decided I was just going to move to cyclocross and I won nine races. Every one except the Koppenberg Cross where I was third. But I had to start in the last row. So I knew immediately I could do quite well in the sport. And then I got a contract with the development team for BKCP. It went fast. Just two or three months after I started I was already with a team. B: Being on that team you definitely have other guys like MvdP doing great. That must be good motivation. J: Yeah, it’s great motivation to also have those guys to look up to. It also means that you don’t have to win everything by yourself. If there other guys winning then the sponsors are happy and you can do your own thing. And if it’s going well it’s going well. But if it’s not there are other guys who are doing well. B: One thing I found interesting after reading an article where your uncle, Erik, had made the comment that you are pretty self-critical and always looking to improve. After winning the World Championship last year, what now are you looking to improve? B: After Worlds it looked like you were starting to race the MTB and looking to compete at Worlds but you didn’t compete at the European Championships, have you put that on hold or are you still doing some MTB racing? J: I was going to but I crashed in Italy when I had to qualify. I crashed the first day there before the races even started. I bruised my hand and I couldn’t race. So I started in Albstadt two weeks ago. I think I started in 92d position, quite a bit back, yeah. And I finished 18th. So that was quite good and last weekend I was second in a race here in Belgium, so, still going to hope for the team for Worlds. B: That’s interesting. I’ll have to go back and look. I was doing some film work at Albstadt. I’ll have to see if I have you on there anywhere. J: I wouldn’t think so. I was only there for two or three days because I had my exams at school. So I had to go travel six hours there just to pass my exams the day before the race. So it really was not the optimal situation. B: Tell me a little bit about your background on your half Dutch, half Australian. What’s the Australian part. J: My mom’s Australian. So that’s the Australian part. B: Do you spend any time in Australia? J: I’ve been there twice now, I think. But only for three weeks. Not much time but I have half my family there so I tend to go soon … but I don’t know when. B: As far as the last year, you pretty much couldn’t ask for a better year as far as results go. Talk me through going into that World Championship. How you were feeling and what your strategy was for that race. J: I knew I was probably going to be the best because Jappe Jespers was feeling sick the last few weeks before Worlds and he was the only guy who had really beaten me. So I knew I was probably going to be the strongest. The first lap is kind of dangerous. And the first corner is very slippery, especially with all of the rain that had come down the night before the race. So I knew I had to start full on riding, don’t crash, and then take the lead when it was possible. I did just that and I think I already had 30 seconds after the first lap. So … yeah. B: So what does that do, winning the World Championship? How does that set you up for this season? What level are you racing and what are your goals? J: It’s always different. I’m fortunate to still be able to race in a separate category, the under-23 in Holland and Belgium. I think in America you race with the elites immediately but that’s not the case here. I have a few years to develop. But I really don’t know what I’m going to be able to do because I’ve finished high school and I’m not going to college. So I’ve got loads more time to train. To work on my skills and everything. So It’s hard to know what I’m going to be able to do. I hope that I’m going to be able to come close to Eli Isertbyt because he’s very strong. I think it would be nice to be able to beat him once .. and more of that would be awesome. B: We always hear stories about guys having success in cyclocross and then wanting to move over to the road. Are you done with that or are you not sure. J: I still have time. I’m only seventeen and I don’t know yet. I like racing on the road, it’s just a bit boring to do the training. Long hours on the bike … I don’t know, it’s far away. I think a lot can happen in a few years and if there’s a road team that wants to offer me a contract I can’t say what I would do … but for the moment I’m really happy with cyclocross. I will still continue to do this for a few years. B: For people listening who hear your story and success but are just getting into the sport at the amateur level, what do you think is a good piece of advice you can pass on to a new racer? J: It’s very important to stay smooth and don’t crash. I see a lot of riders in Europe and especially in Belgium who go into corners racing as hard as they can and then they crash. I think it’s more important to stay smooth and upright because otherwise you lose a lot of time. And your health is also important. That’s how I do it: don’t crash and don’t have mechanicals … (laugh) yeah. B: One big difference we see in the racing in the U.S. and European racing, especially at the pro level, is that it’s a lot more physical and there’s a lot more contact in Europe. Can you give people a better picture of what that’s like? J: I don’t know how it is in America because I’ve never been there. But if you’re not the first off the line, if you don’t have the holeshot, there will be guys who try to knock you off the bike to gain a spot in the top 10. The first lap is really physical. That’s why I said with Worlds I just had to get through the first lap because a lot can happen and it’s really hard to stay upright, really. B: Worlds excepted, since I’m sure that track has a special place for you, what is your favorite race? What’s your favorite course? J: I’ve been to Koksijde for the first time this year, and I really love the sand, so I think that’s probably going to be my favorite track. 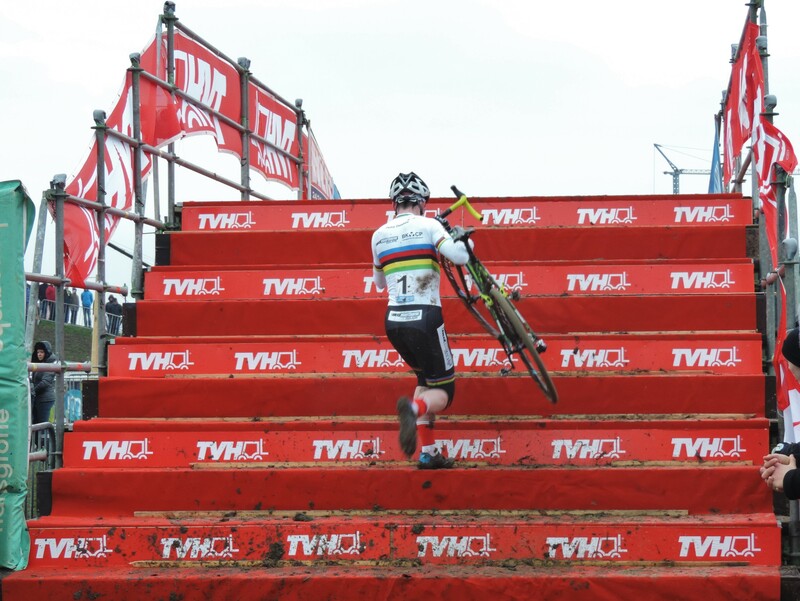 But also Zonhoven is really nice with the crowd and the sand. I don’t know how many people are there but more than a thousand are already cheering for the junior race at 11 o’ clock in the morning. It’s amazing to go down there. B: You obviously like riding in the sand and it plays to your power. Do you think that is one of your specialties or where you hope to build? J: I think so. I don’t know why exactly. My technical skills really aren’t amazing but, yeah, I like the sand and I’m quite good at it. B: Any tips you can give folks for being successful for riding through the sand? J: It’s very important to stay in the rut. Because when you’re out of that rut you’ll probably come to a standstill. But also power is important for the sand. Sometimes there is no rut and you just need power. That’s probably where I gain seconds. B: This may seem like an odd question but it’s one I ask all of the people I talk to that race. Food-wise, and especially breakfast. Race day: what are you eating for breakfast? J: Normally I’m just in a hotel, so, I’ll eat what the hotel offers. Mainly bread. B: If you weren’t in a hotel and had your choice what would it be? J: I think still bread. I’m always in hotels … If I’m by myself maybe I’d cook some pasta … but I think just bread. I think it’s going to be different this year since now it’s not just three hours after breakfast but I’ll be racing later so that may change what I’m eating for breakfast. But I don’t know. B: So other than cycling, what do you do with your time? J: Cycling. I went to school until a week ago so that filled most of my time. And the rest was all training. And figuring out what I was going to do in the training. So I didn’t have much time for other things. B: So what’s up next? Is it more mountainbiking? J: I hope to make the team for Worlds for mountainbike. And after that I’ll do some road racing. And then prepare for the next cyclocross season. J: I just changed my training because I have been having a bit of a problem with hay fever. Allergies are heavy this year so I’m quite tired and it’s not really helping my training. But I’ve trained to doing more intense work and I just got out the cyclocross bike two weeks ago cause I felt that I wasn’t getting good training on the road or the mountainbike. Because you really can’t train on the mountainbike here because it’s really flat and that’s not what a mountainbike is made for. So I got out the cyclocross bike to do my efforts. B: So once it gets closer to the season, what does your week look like, just as far as how many days you are training on the road versus how many days you are on the cyclocross bike? J: I mainly follow the path that many Belgian riders do. I like to train on my cyclocross bike and I really don’t like putting miles on the road. Wednesdays are my main training day and that will be two or three hours on the cyclocross bike. Intense training. Efforts and sprints and everything. Also there is training that the team does, but for me it’s more national team training in Holland, because Belgium is a little too far away to travel to after school. So the big training day is Wednesday and the rest depends on what day the race will be. If it’s just a Sunday race, I’ll do a recon of the course the day before and after the race will be easy rides for recovery. In between I’ll do shorter rides on the cyclocross bike or intensity on the road. Just depends on what part of the season I’m in. B: Thanks for taking the time to talk and we look forward to following your progress in the coming year. Thank you for the transcription. Good to hear the Euro pov on contact at the start of Worlds which is something I don’t think we need as much of in u.s. local races. cuz local, amateur, or nah?